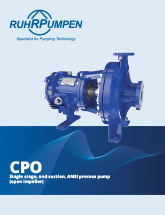 Our CPO pump line is the result of tremendous efforts to meet the ever-changing demands and complex needs of our clients in a wide range of industrial, chemical and municipal applications. It is designed to meet or exceed the ANSI/ASME B73.1 – 2012 specification and is available in 31 sizes. 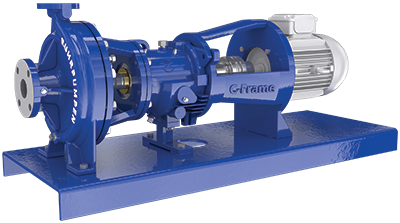 Our installed base, with users in the general industry, chemical process and municipal markets, demonstrate the remarkable reliability and performance of our CPO pump. 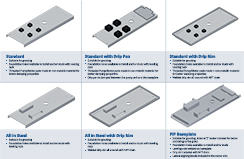 DISCHARGE FLANGE: 1" to 8"
Why prefer the CPO over competitor brands? It is our goal to understand our customers’ needs in order to provide the best possible solution. 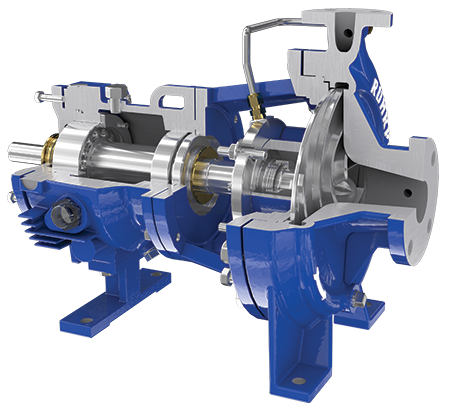 If you're considering using the CPO pump for your application or are interested in learning more about this pump line, be sure to talk to an experienced engineer first. We will be happy to answer any questions you may have. Leave us a message and one of our specialists will contact you shortly. 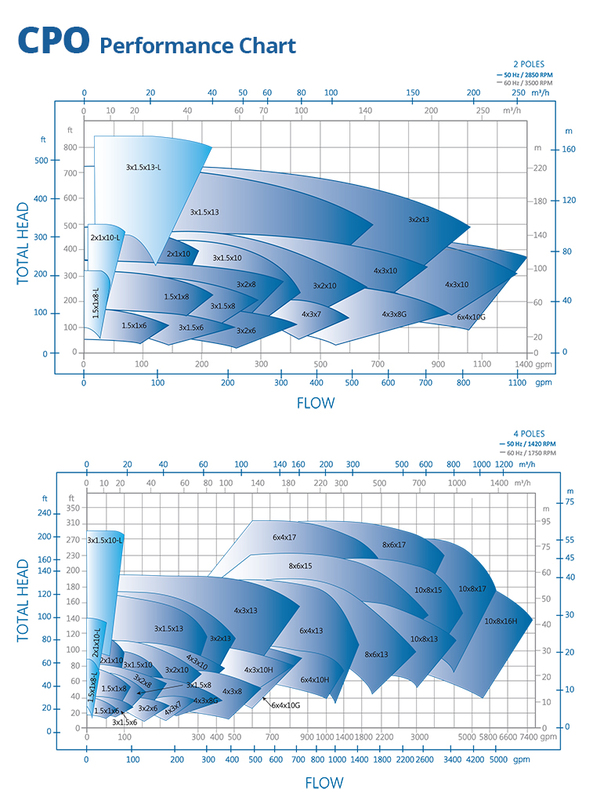 Designed to fill the gap on the low flow side of the CPO range map, the CPO-L counts with a radial vane impeller especially designed to reduce the thrust load and seal chamber pressure normally associated with low flow applications. It also complies with the ANSI/ASME B73.1 standard. With low flow applications, it is important to reduce the radial load and potential shaft deflection issues. 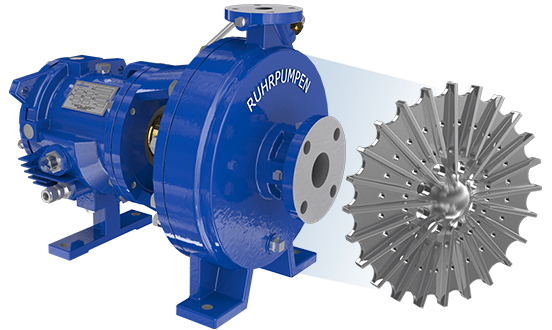 Ruhrpumpen’s radial vane impeller and concentric pump casing for the CPO-L are specifically designed to reduce these issues at low flow or throttled operating conditions. 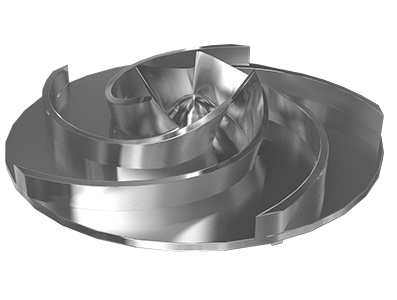 The radial vane impeller with balance holes also reduces seal chamber pressures. This will lead to increased seal and bearing life and increased reliability. The CPO frame counts with three ears to support the optional C-Frame. 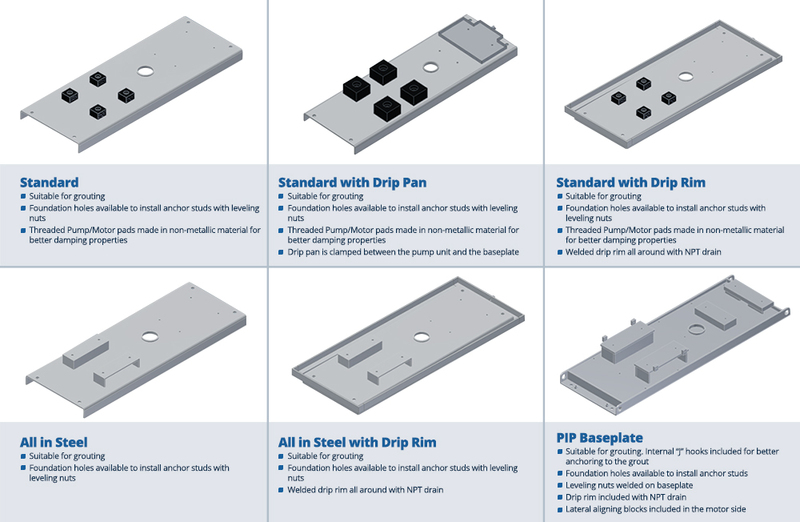 Our range of baseplate options is ready to meet any plant requirements to facilitate installation and maintenance.